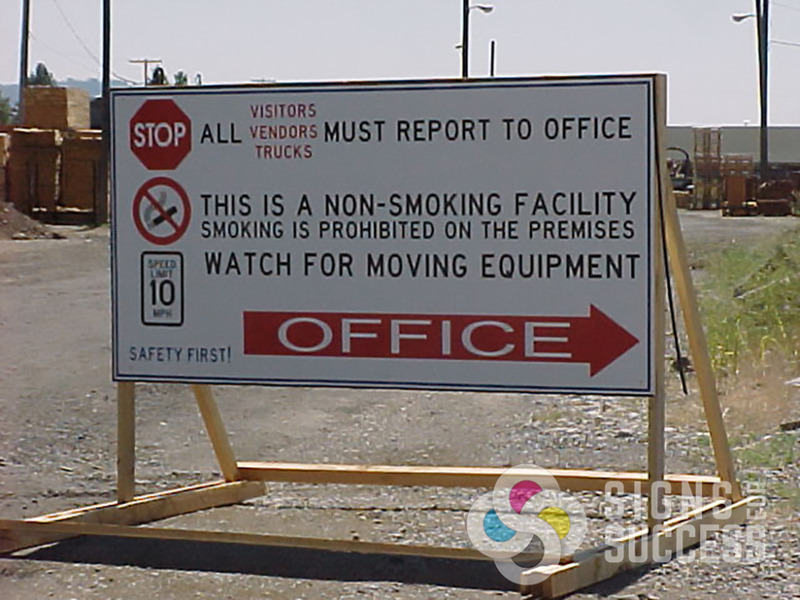 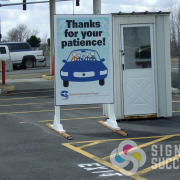 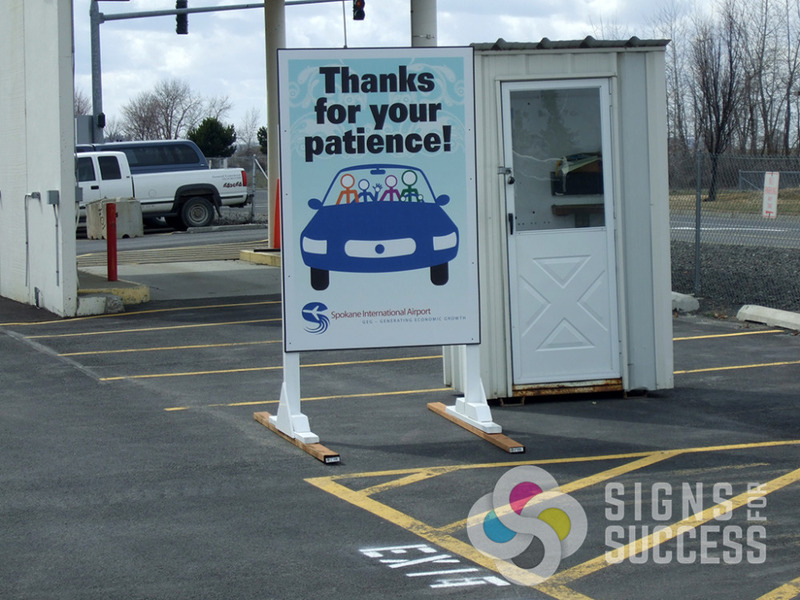 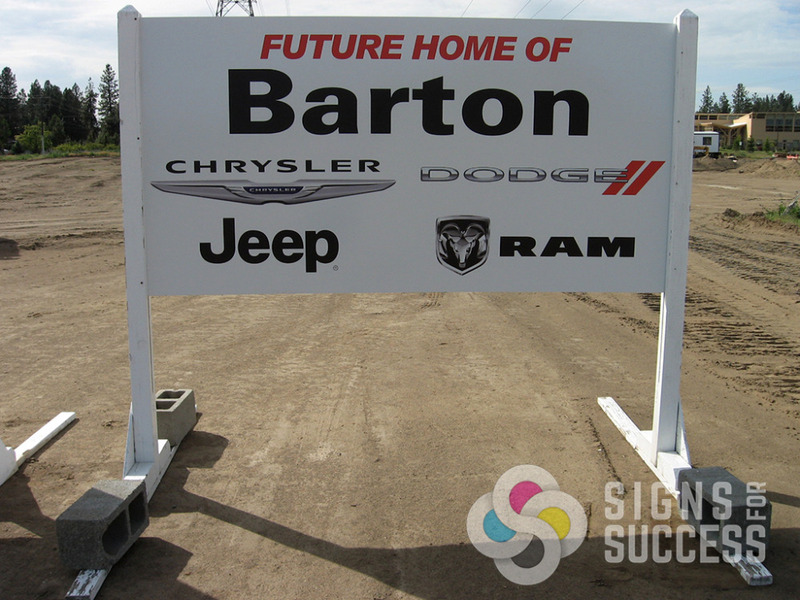 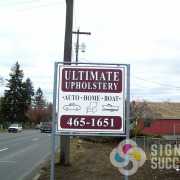 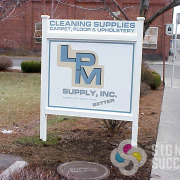 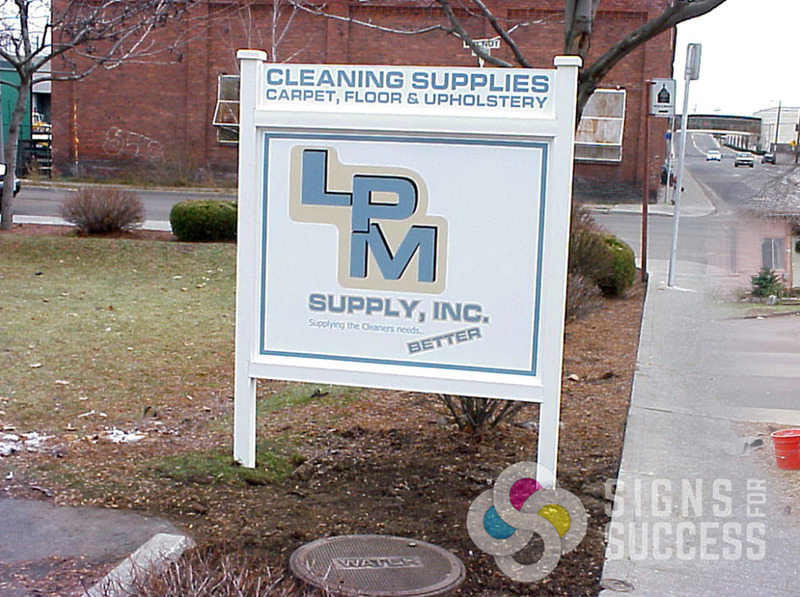 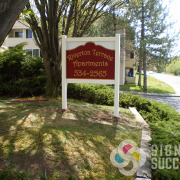 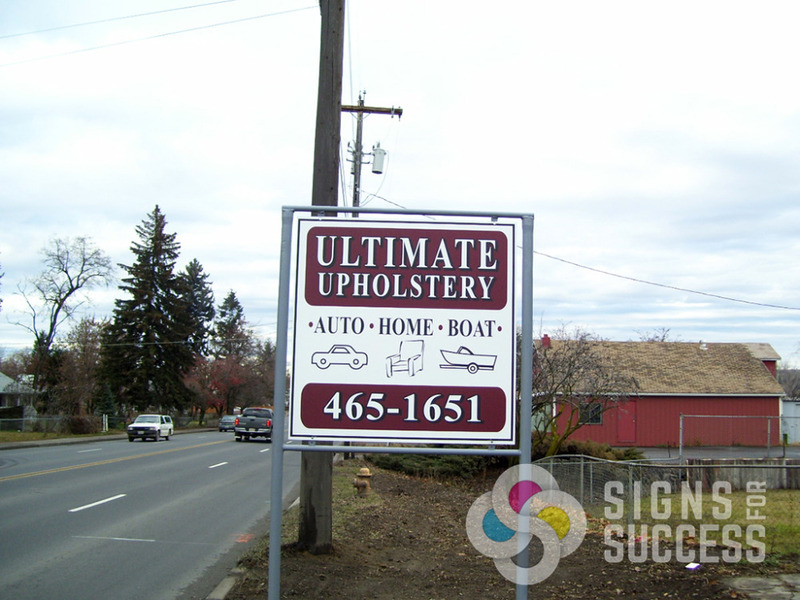 Whether you need a permanent sign or a temporary construction site sign, we can do that! 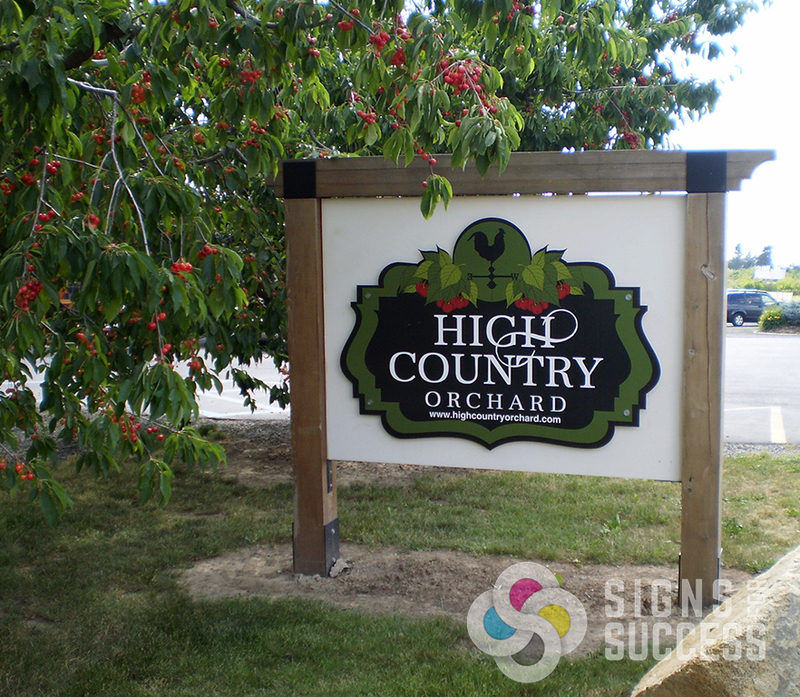 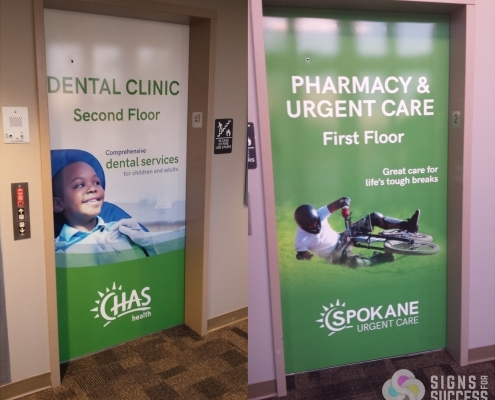 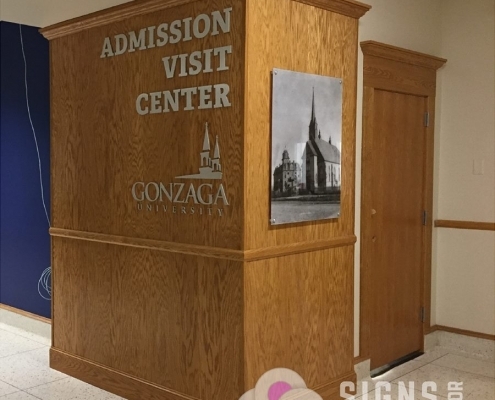 Long term plastic vinyl post and rails, treated wood posts, or extruded aluminum components give the signs many design options and make a wide variety of post configurations possible. 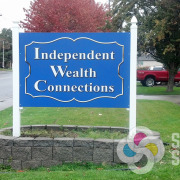 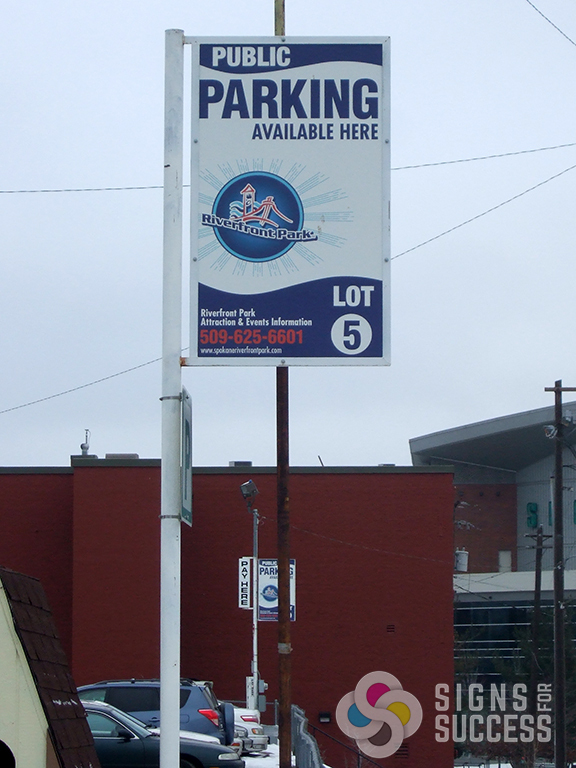 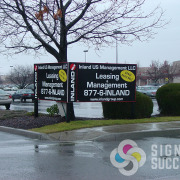 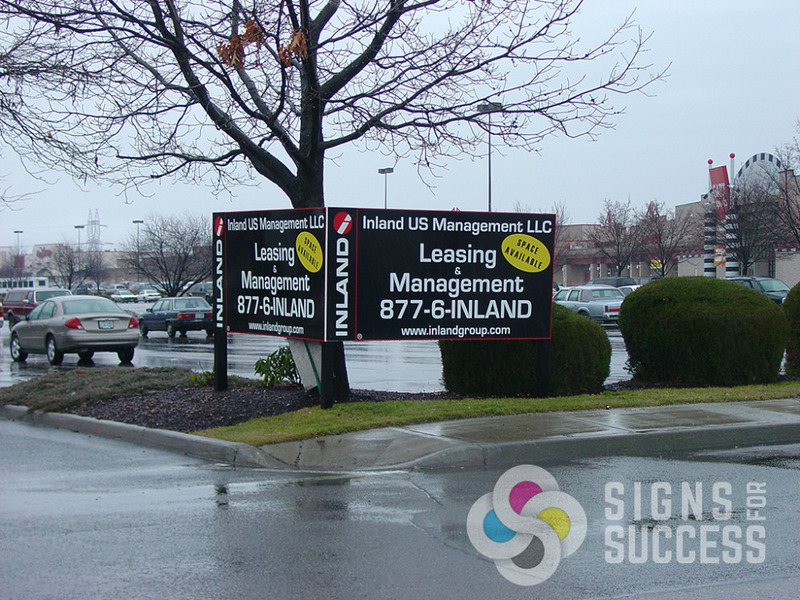 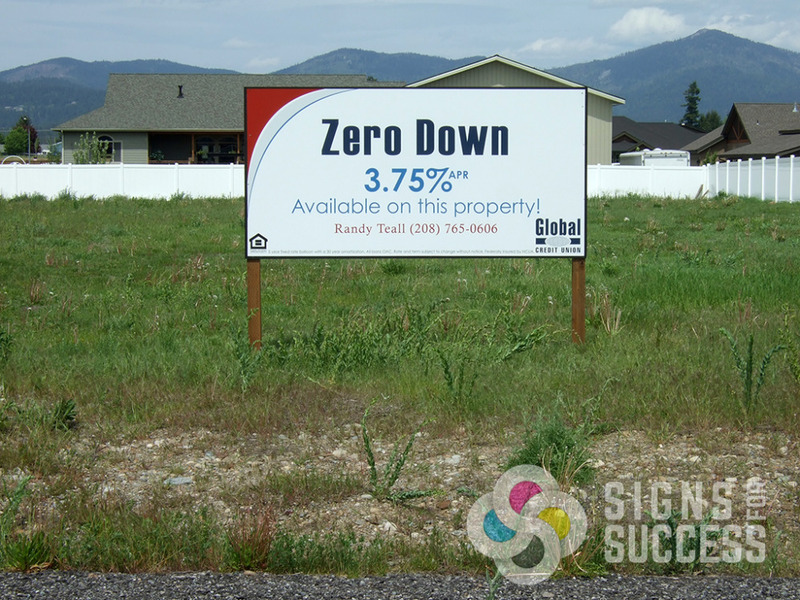 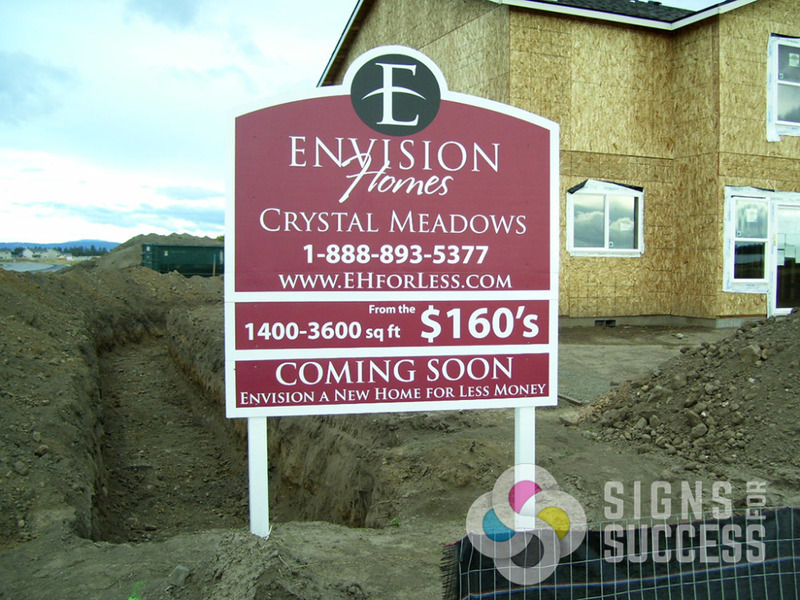 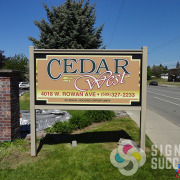 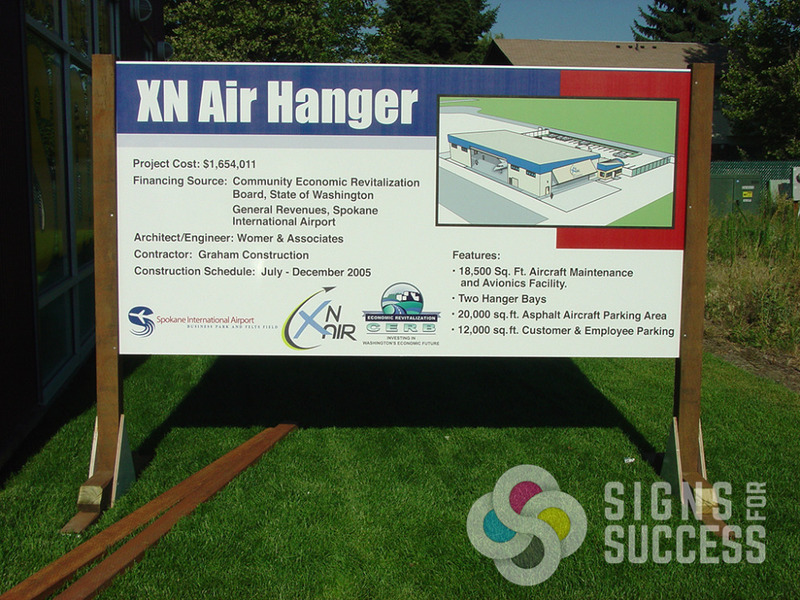 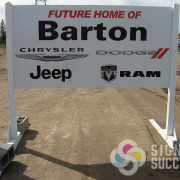 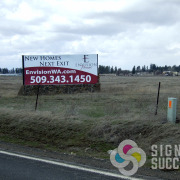 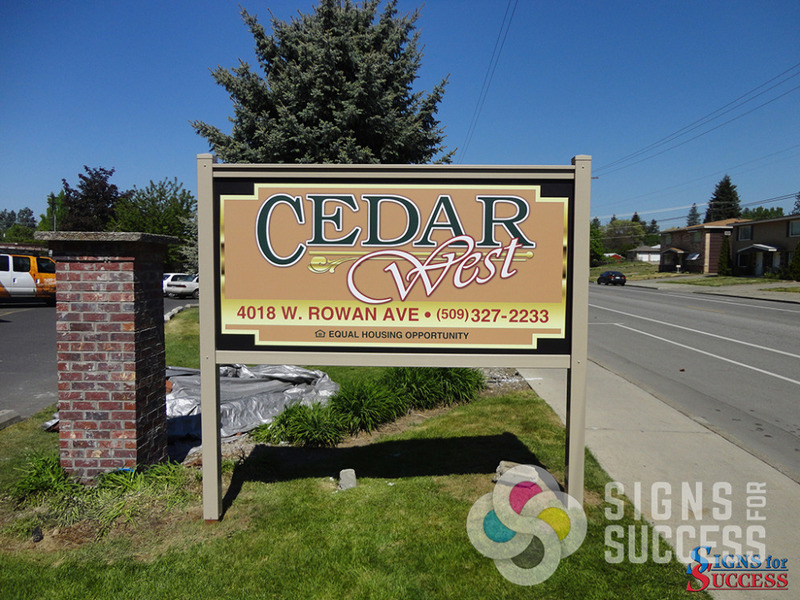 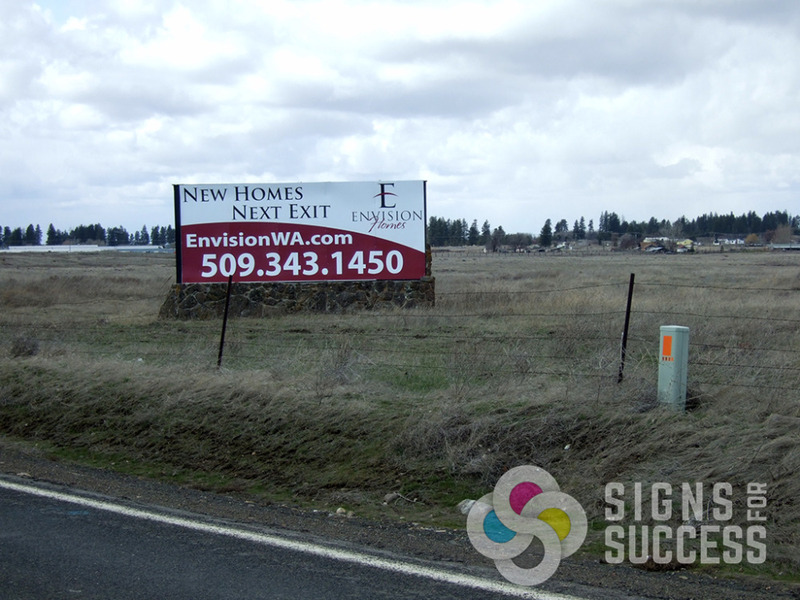 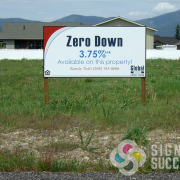 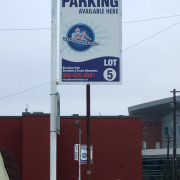 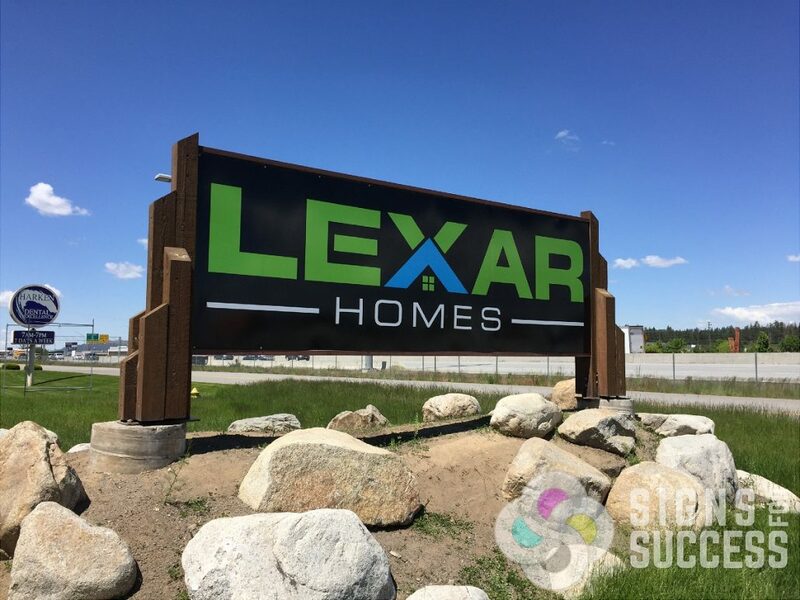 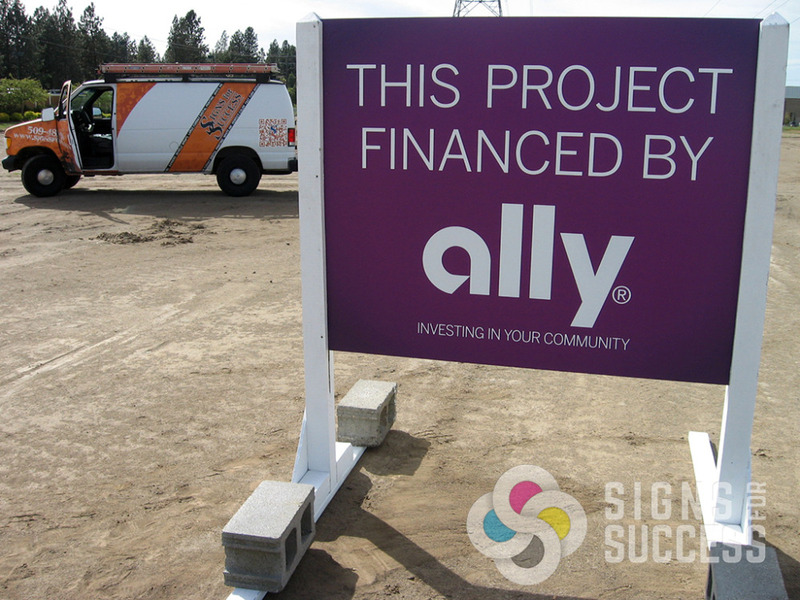 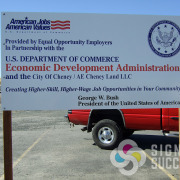 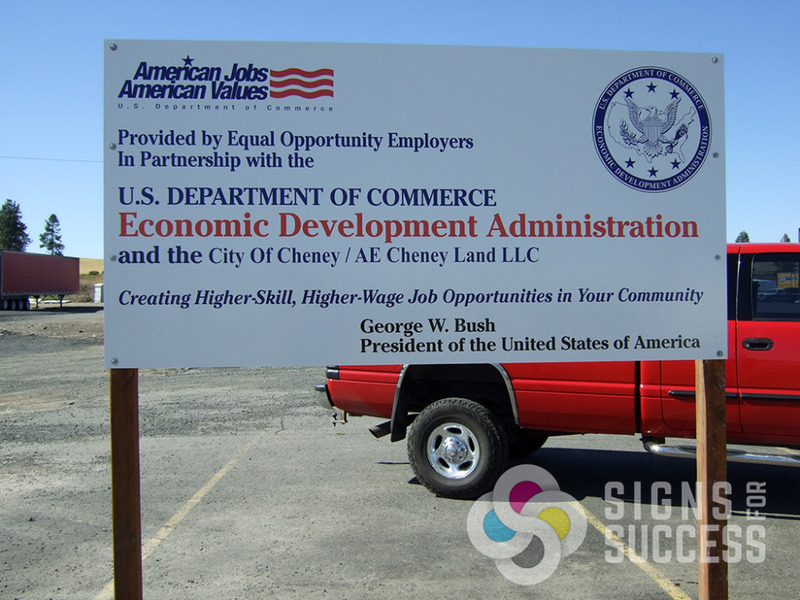 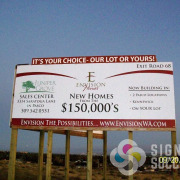 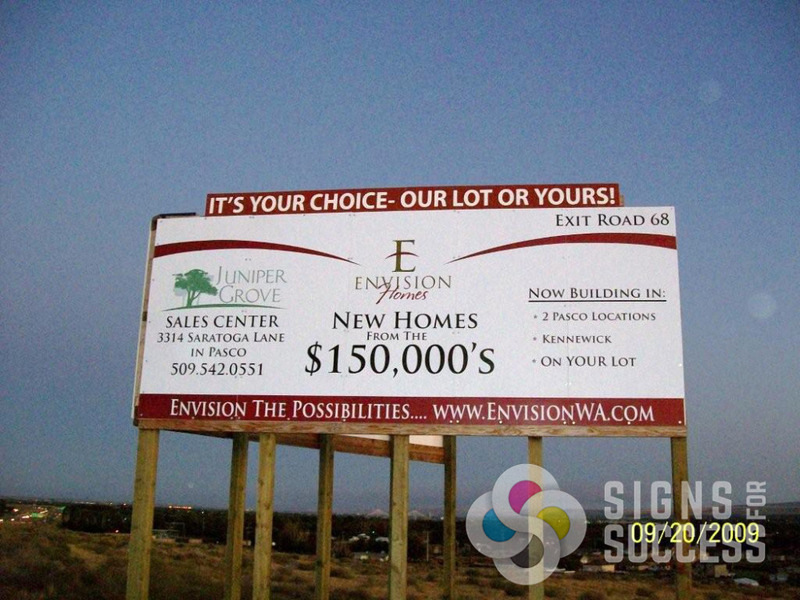 Site Signs are often used as temporary signs to promote a new business or shopping center, a construction project, or to advertise the sale of commercial real estate property. 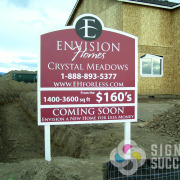 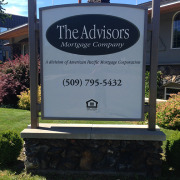 Common sizes for this type of use include 4’x4′ and 4’x8′ made on a variety of sign boards depending upon needs. 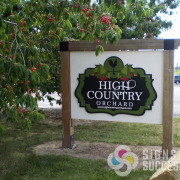 Corrugated Plastic, MDO wood, and ACM are the most common for Post, Panel, and Site Signs, and they are usually mounted on pressure treated wood posts. 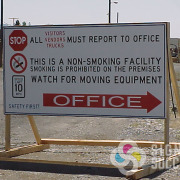 Keep in mind these are not the only sizes or purposes used for this type of sign. 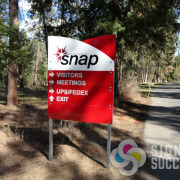 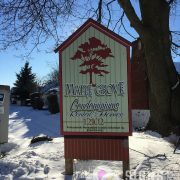 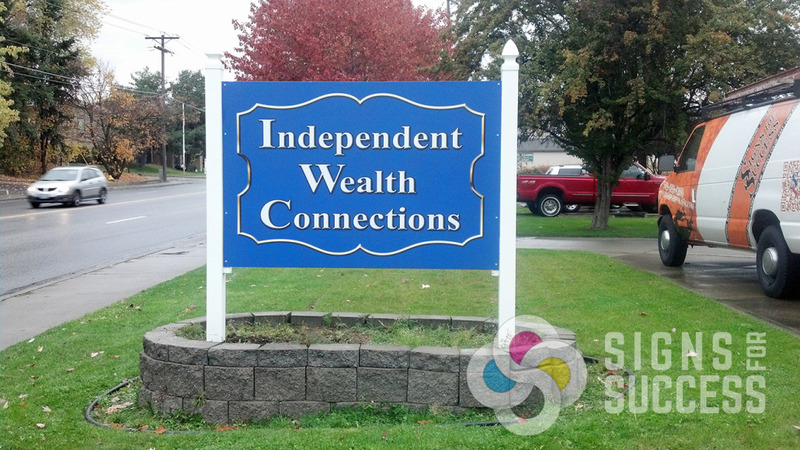 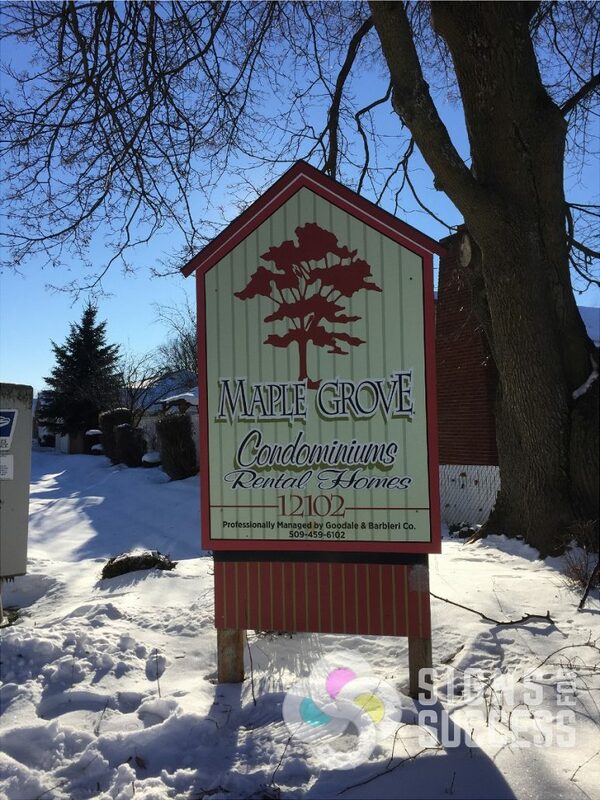 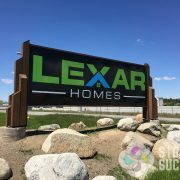 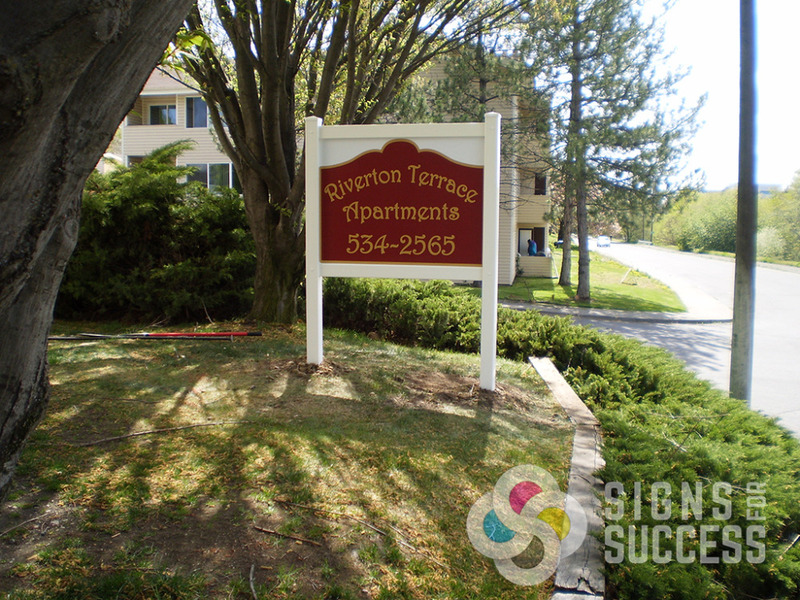 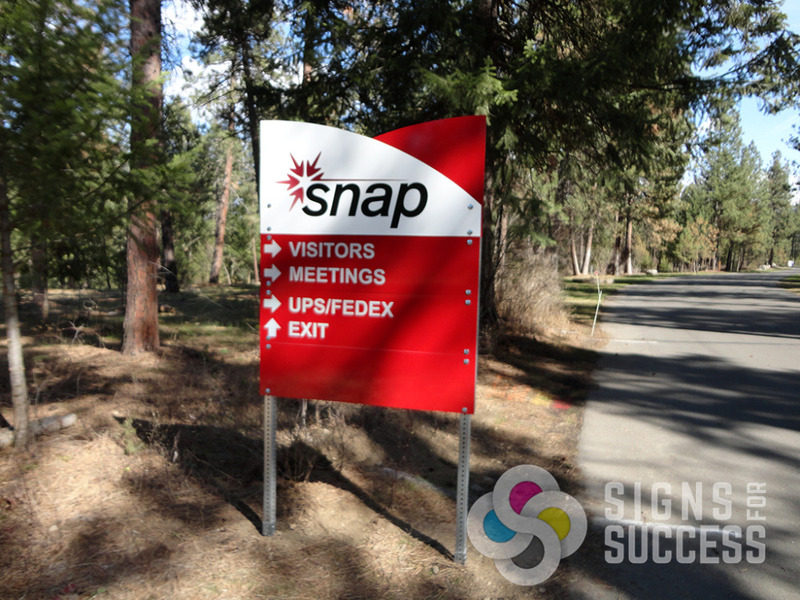 Site Signs can also be used as a permanent sign to designate the location of your business or as directional signage for your property. 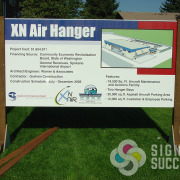 The cost of a site sign depends on factors such as size, type of materials used, time involved, number of colors and design. 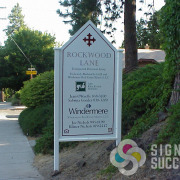 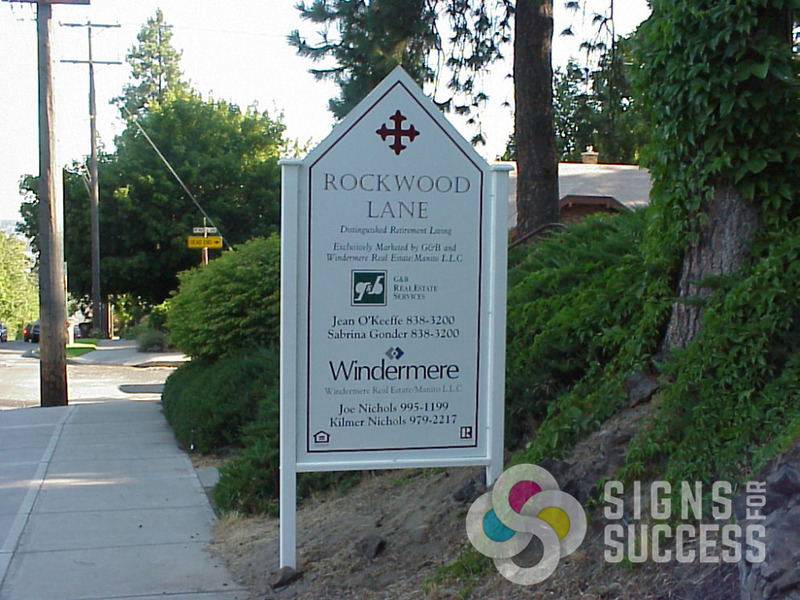 Below is a downloadable checklist you can use to help in deciding the type of sign you need. 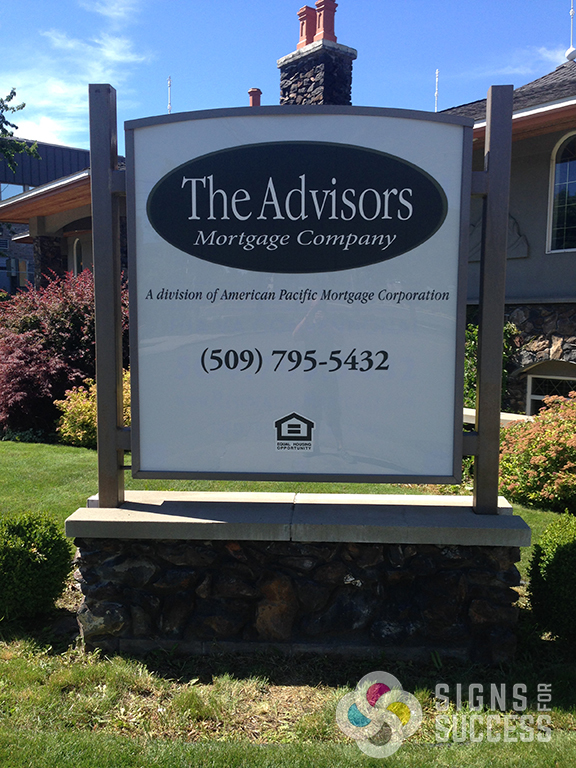 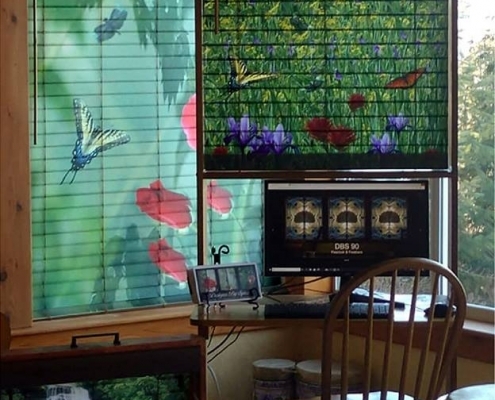 If you would like more information, call us now; we will be happy to work with you!